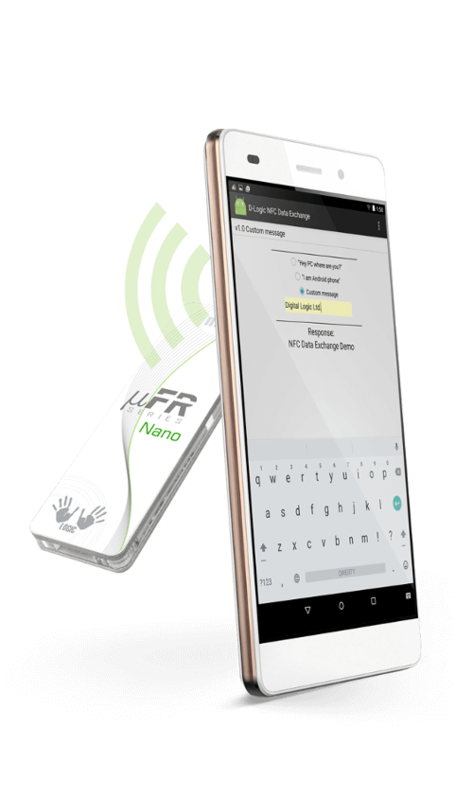 uFR Nano is a small powerful RFID tool for card programming and reading and contains a extensive software support for easy and clever RFID cards manipulation. Device supports Mifare and other ISO14443A/B compatible cards, tags, keyfobs, stickers and wristbands, and comes with a separate DLL that supports specific Windows API interface. µFR Classic CS, DL533N CS and DL533R CS are now available with RF Range Booster and Secure Access Module (SAM) as optional equipment. RF Booster is especially important for working with CPU cards which require more power than regular cards. All versions of devices are CE certified. Contact us for more information. You are at the right place. All our NFC RFID products are highly customizable. Contactless RFID readers designed for creative professionals and companies. Ask for custom solutions and product upgrades. We'll be glad to help you. uFR XR is a contactless Smart Card RFID Reader Writer Programmer intended for use with Mifare and other ISO14443A/B compatible cards/ tags/ keyfobs. uFR XR Reader Writer fully supports both 4-byte and 7-byte card UIDs and anti-collision mechanism. 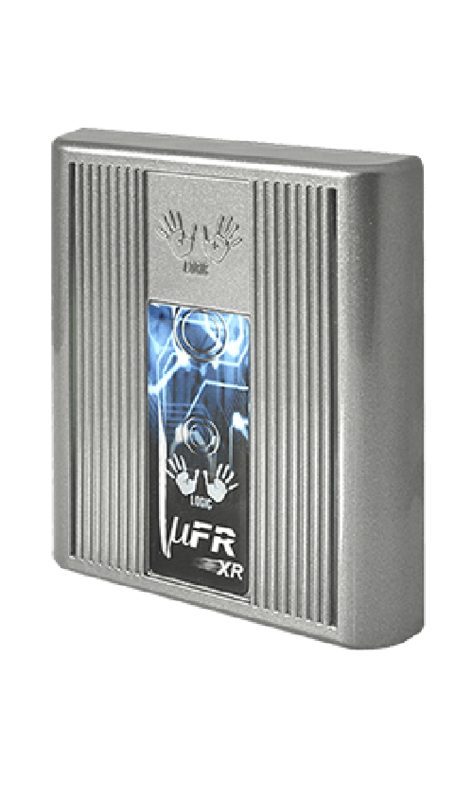 uFR XR provides higher security level in card manipulating. Real Time Clock as a built-in feature provides better time accuracy and also prevents someone to change time of a card log because the RFID device sends timestamps for a particular card. Built-in Relay enables the device to be used for access control. NFC tag programming (NDEF, URL, vCard, SMS, Call, WiFi connect…). Full NFC compliant NFC Reader. 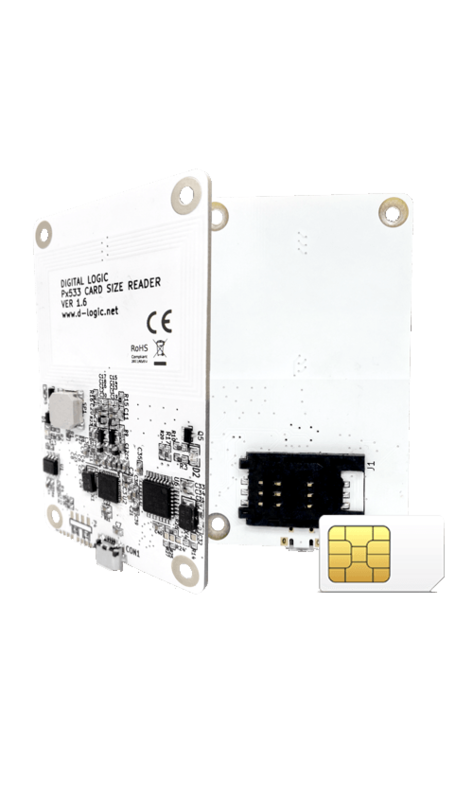 Built in hardware encryption, fully featured FREE Software development kit (µFR Series NFC Reader SDK), all hardware platforms supported. Easy implementation for hobbyists and professional developers. NFC reader build upon NXP PN533 NFC chip according to manufacturers recommendations and guidelines. Full NFC forum compliant NFC reader and LibNFC compatible device. Large libNFC community is a good starting point for further development. Compact NFC hardware ideal for users looking for basic portable device. High quality RFID reader device with maximal reading distance according to ISO14443. Fully featured cross-platform FREE NFC SDK (µFR Series NFC Reader SDK) makes it ideal for rapid application development. This RFID NFC Reader is designed for advanced users and developers. Available in two versions: μFR CLASSIC (rugged desktop version) and μFR CLASSIC CS (slim, ISO card size version). Smaller form factor of the uFR Classic NFC Reader. Other than physical appearance, all other features remain the same. RF Booster (optional upgrade) provides up to 50% increased reading range on advance cryptography cards such as DESFire and JCOP cards. Wall mountable NFC RFID Reader/Writer with built-in access control I/O module with relays, used primarily for Access Control. Low power and high performance NFC RFID reader supporting up to 320 meters (1000 ft) of cable installation while maintaining full performance. RFID reader is intended for developing Access Control where PC host is far away from the device. Revolutionary and innovative Wireless RFID Reader, based on 13,56MHz RFID and 433MHz wireless technology. Battery powered autonomous device. 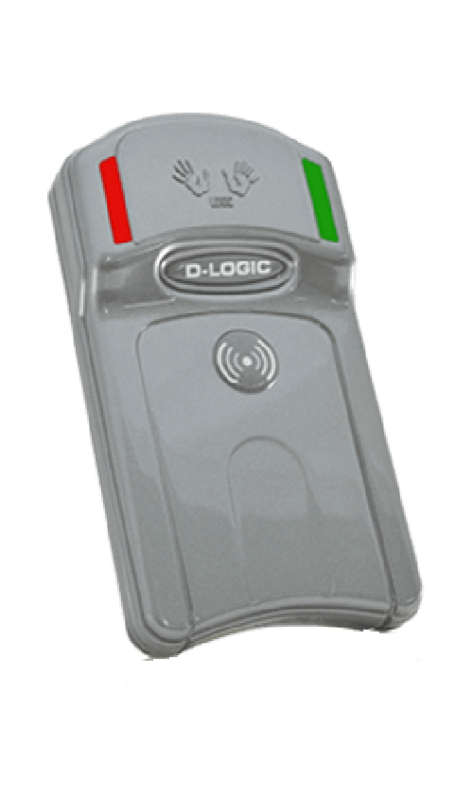 Low power RFID Reader, primarily intended for time attendance and loyalty systems. It comes with SDK and is meant for Time Attendance developers and integrators. 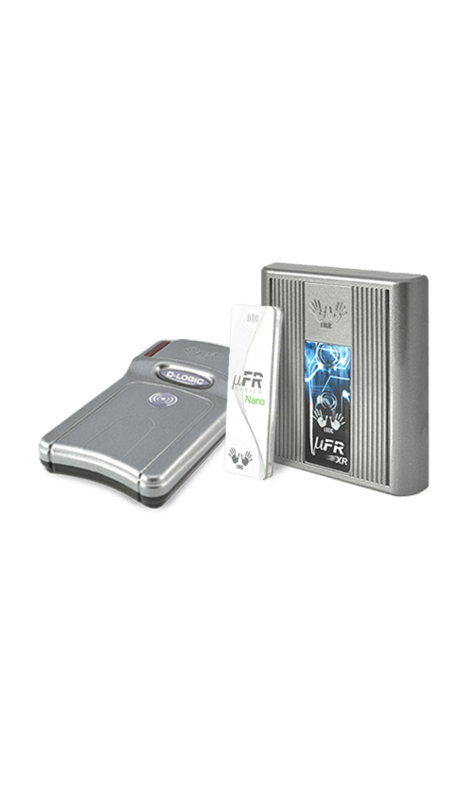 This RFID reader device is intended for advanced integrators. Upgraded version of uFR Classic NFC RFID reader with additional features such as: built-in RTC (Real Time Clock) and internal EEPROM NV memory. Provides higher security level. User configurable, password protected part of EEPROM is convenient for storing sensitive data, like license keys or similar. RFID reader device is primarily intended for developing companies and individuals (professionals and hobbyist) for further application and turnkey solutions development. FREE fully featured NFC SDK (µFR Series NFC Reader SDK). The PR5331C3HN is a highly integrated transceiver module for contactless PCSC Smart Card Reader/Writer communication at 13.56 MHz. The protocol between the host controller and the PR5331C3HN, on top of this physical link is the CCID protocol. Charge you Android device and communicate with the uFR Series NFC reader at the same time over the same micro USB port. Many different APB models are available depending on the necessary connection types. 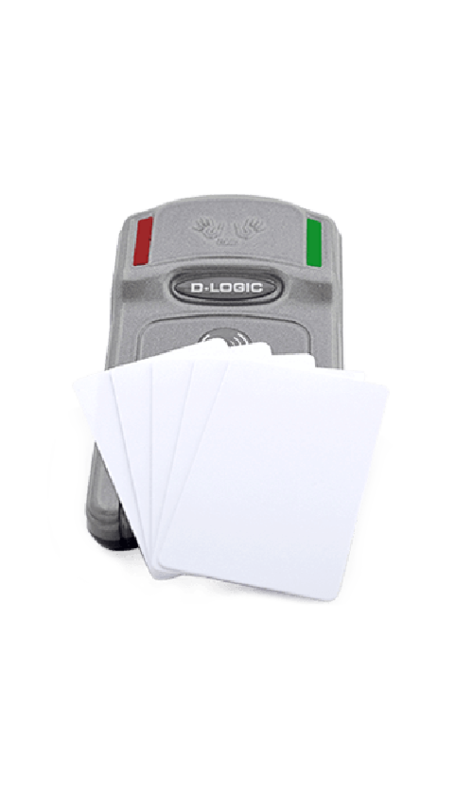 The DL533N CS NFC RFID reader writer with PN533 enables reading and writing of NFC cards and tags as well as NFC P2P communication. The device is produced by Digital Logic LTD. It is build upon the NXP PN533 chip according to manufacturers recommendations and guidelines. NXP PN533 supports the full range of the NFC Forum specifications and standards.